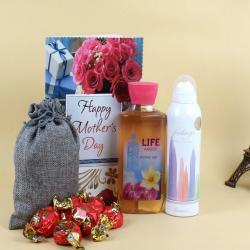 Product Consist: Perfume Set of Rasasi Blue Lady (Weight: 35ml) Perfume, Rasasi Blue Lady 2 Deodorant (Weight: 200 Gms), 2 Bars of Bounty (weight: 57 Gms each) along with Mothers Day Greeting Card. Mothers Day is almost here! Don’t forget to show your mom how much you love her and how much she means to you by Surprising your Mom Such a lovely Gifts. 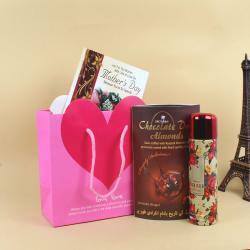 The fragrance of Blue Lady Perfume and Deodorant along with Bounty chocolate which is full of coconut and chocolate even now you can share your feeling while sending a Mothers Day Greeting card to her will make your Mom happy. So what are you waiting for go and place your order now. 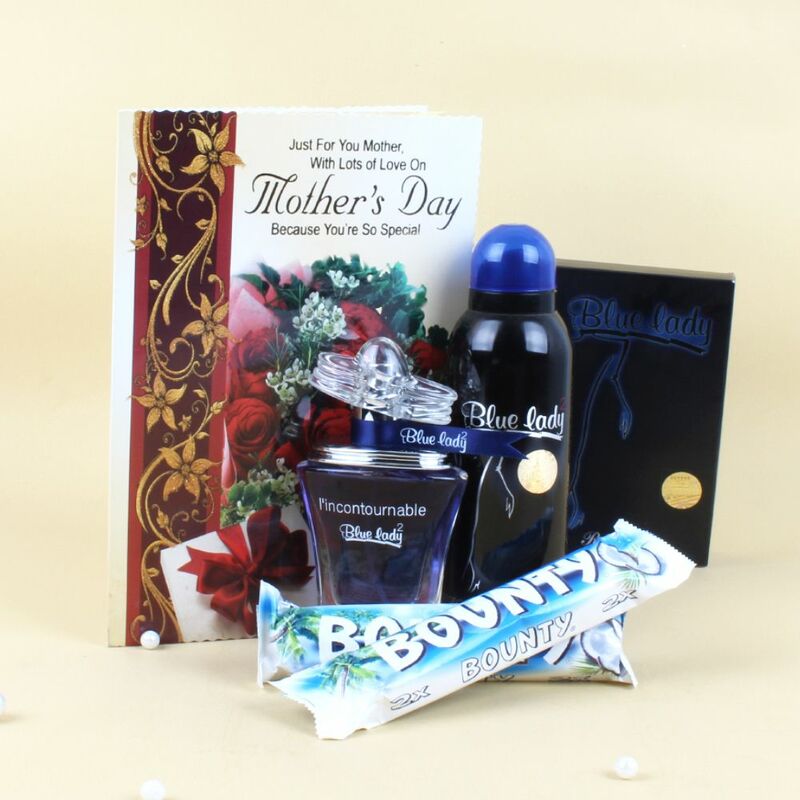 Product Consist: Perfume Set of Rasasi Blue Lady (Weight: 35ml) Perfume, Rasasi Blue Lady 2 Deodorant (Weight: 200 Gms), 2 Bars of Bounty (weight: 57 Gms each) along with Mothers Day Greeting Card.